This trip has been CANCELLED. We apologize for any inconvenience. What would happen if Sherlock Holmes and Monty Python had an illegitimate Broadway baby? 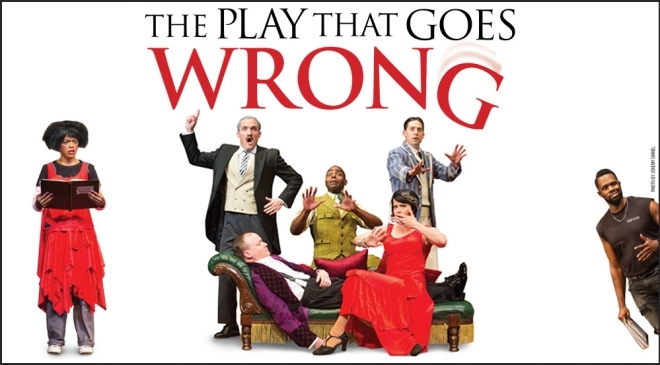 You’d get “The Play That Goes Wrong”, Broadway and London’s award-winning smash comedy! Called “a gut-busting hit” (The New York Times) and “the funniest play Broadway has ever seen” (HuffPost), this classic murder mystery is chock-full of mishaps and madcap mania delivering “a riotous explosion of comedy” (Daily Beast) that is “tons of fun for all ages” (HuffPost)! Lunch, prior to the 1:00 PM show, will be self-pay at Appleton’s Fox River Mall. This trip requires payment up-front and is 100% non-refundable but you can transfer the ticket to another person. Reservations are required by March 25, 2019. Minimal walking.